My dear friend E.B. sent this photo along. It’s from the Nexus One event. Sanjay Jha of Motorola (left) looks a little uncomfortable, no? Must be the knife in his back, pressing against the chair. 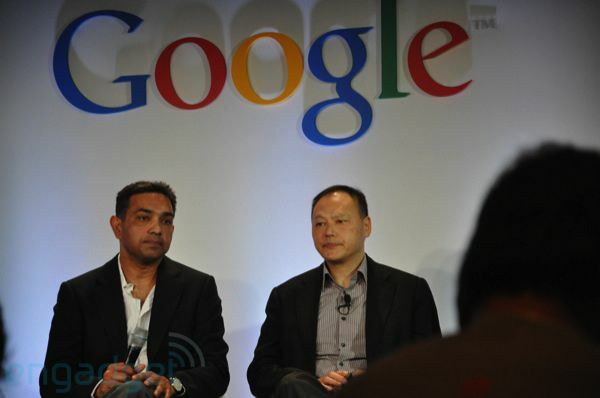 Peter Chou of HTC is on the right.